Due to the passing of lead singer Chester Bennington, the Linkin Park One More Light Tour has been cancelled. Refunds will be available at point of purchase. Rest in peace, Chester. Are you ready for one of the biggest nu metal and alt-rock shows of the year?? Linkin Park are on tour in support of their massive new album, “One More Light”! With support from the amazing Machine Gun Kelly, the band will rock the Hollywood Casino Ampitheatre on Monday 14th August 2017!! Make sure you're there – get tickets NOW while they last!! Formed in 1996 and consisting of band members Rob Bourdon, Brad Delson, Mike Shinoda, Dave Farrell, Joe Hahn, and Chester Bennington, Linkin Park saw their massive breakthrough with their first album, “Hybrid Theory,” released at the turn of the millennium. Captivating listeners with its unusual sound, mixing different sounds including metal and rap, as well as its raw, emotional lyrical content, the album hit the number 2 spot on the Billboard 2000. It has since sold over 11 million copies, earning Diamond certification, as well as a Grammy nomination for Best Rock Album. Linkin Park's next release, “Meteora,” cemented their success, hitting the top of the charts in 2003 and followed up by massive worldwide touring. From their initial, hugely successful rap-rock sound, the band went on to diversify even further with their following albums, exploring a wide range of musical genres and styles. To date, the band have sold over 70 million albums across the world, won two Grammy Awards, and been voted Biggest Rock Band In The World in 2014 by Kerrang! Magazine. 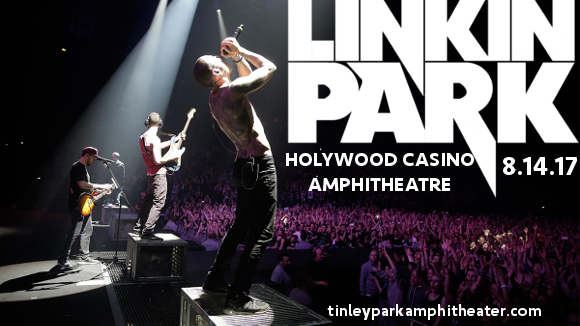 Don't miss your chance to catch the genre-defying Linkin Park live with their brand new release – get your tickets to see them TODAY!